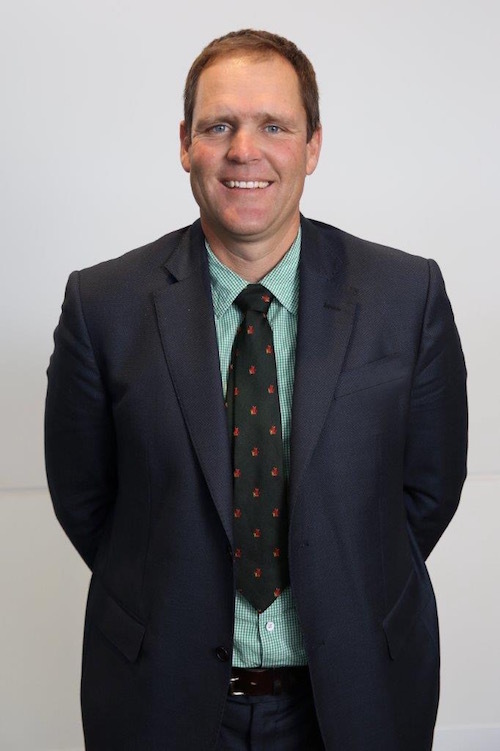 I am pleased to introduce myself as the new Chair of Nuffield Australia. It’s an honour to be appointed and I look forward to working alongside my fellow Directors, Scholars, management team and the international Nuffield network. I am a 2000 Nuffield Scholar, managing a 28,000-hectare mixed cropping and livestock property near Esperance, Western Australia. I was appointed Chair in September, following the AGM held at the Nuffield Australia National Conference in Adelaide, South Australia. I would like to thank outgoing Chair and 2005 Scholar Andrew Johnson for his hard-work, helping to grow our National Conference, expanding the development of Nuffield International and overseeing the transition of CEOs from Jim Geltch AO (1986 Sch) to Jodie Dean. I would like to formally introduce Jodie Dean as our CEO. Appointed in May, Jodie has an extensive understanding of rural and regional issues, and is passionate about Australia’s food and fibre industries. She also has communication, marketing and event management skills as well as broad industry networks which serve her well in this role. Jodie’s previous roles include Operations Manager at Grain Trade Australia and Senior Manager - Agricultural Development – at the Royal Agricultural Society of New South Wales. She also has research and extension experience, working across the Grain & Graze Program, NSW Department of Primary Industries and Central West Farming Systems. I also take this opportunity to thank Jim Geltch for his hard work and dedication to Nuffield Australia as the CEO over the past ten years. Across Australia, we’ve had a good season across many industries, including record grain production and strong recovery across the grazing sector with excellent and sustained red meat prices. The River Murray, Australia’s longest river at 2500km, has been experiencing 30-year highs for river flows following a very wet winter so there has been full water allocations for irrigators. Our Global Focus Program (GFP’s) continues to be a major highlight. In 2017, there will be a record number 58 Australian and International Scholars participating in this six-week, world-class, guided international study tour across three continents. There will be six GFPs in 2017, with three programs run in March-April, and three in May-June. In addition to 25 Australian Scholar participants, we welcome the involvement of ten UK Scholars, six New Zealand Scholars, six Irish Scholars, five Scholars from The Netherlands, two Canadian Scholars and five Nuffield International Scholars from Brazil, USA, South Africa and Belgium. We are confident that it will continue to be an intense and enriching study experience, with such a broad mix of Scholars and countries represented. In 2017, our major event will be our National Conference, to be held in Darwin in the Northern Territory, 19-21 September, followed by a two-day regional tour. The Conference will host delegates from the International Association of Programs for Agricultural Leadership (IAPAL) members. These represent about 40 USA state-based rural leadership programs as well as Canada, Scotland, Mexico and Australia. They will hold internal meetings in Darwin and attend our conference allowing excellent networking for those in attendance. I look forward to seeing many of you at a Nuffield event in 2017 and best wishes for the New Year.